In 2004, renowned chef David Chang opened Momofuku Noodle Bar in New York. And that was just the beginning. From that beginning stemmed several variations like Momofuku Ssäm Bar, Momofuku Ko, and the bakery, Momofuku Milk Bar. In 2015 (rising from his former successes) came a fried chicken concept named Fuku. 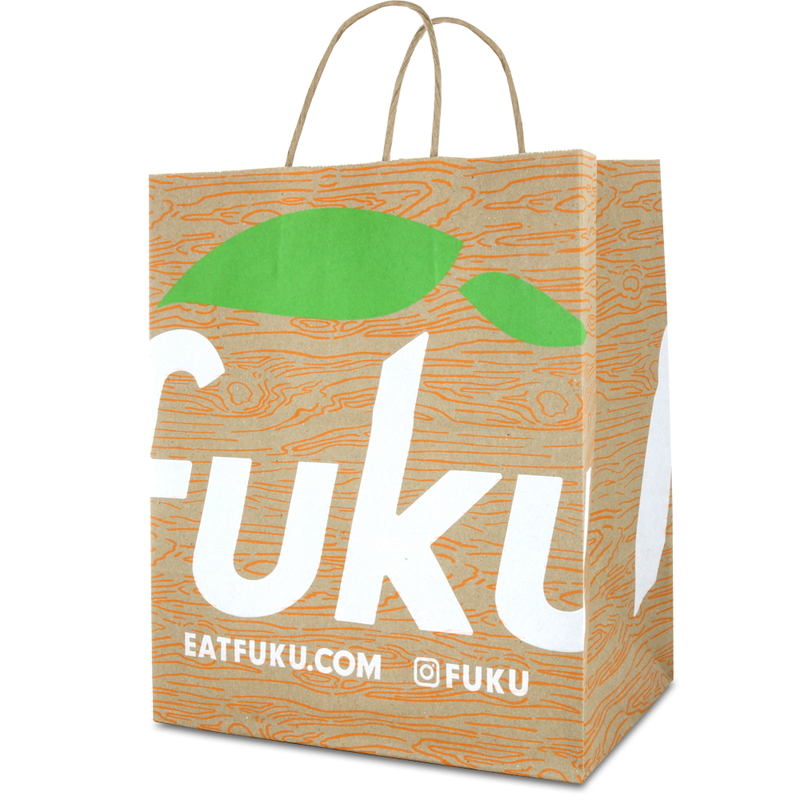 So when we were given the opportunity to work on a logoed takeout bag for Fuku, needless to say we were very excited. For this project, one of our senior Packaging Advisors worked closely with Brendan Newell, Designer for Momofuku. His job was to dream up a look that was reflective of the famous brand. Our job was to help him make it a reality. “The impetus behind this project was to drive the brand impact in the local area,” says Newell. He explains that Fuku opened in a neighborhood where they did not yet have a lot of presence, so Newell and company had to help drum some up. “The idea is that people will be walking from the storefront to their home or office, and the bag design will help gain exposure. When people see it on the street, they become interested,” says Newell. And trust us, this bag’s design is nothing if not intriguing. This sort of collaboration with the customer from concept to finished product is ideal. The results of this team effort are obvious, because this bag shouts its message to everyone who passes by it on the street.